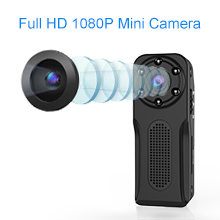 MULTIFUNCTION MINI CAMERA--USE ANYWHERE: You can put the camera in the corner of home,office, warehouse, store,backyard, garden, even in your pocket or on your collar with the clip included .In addition , it can also be used as a car camcorder, pet camera,baby monitor or an aerial action camera. 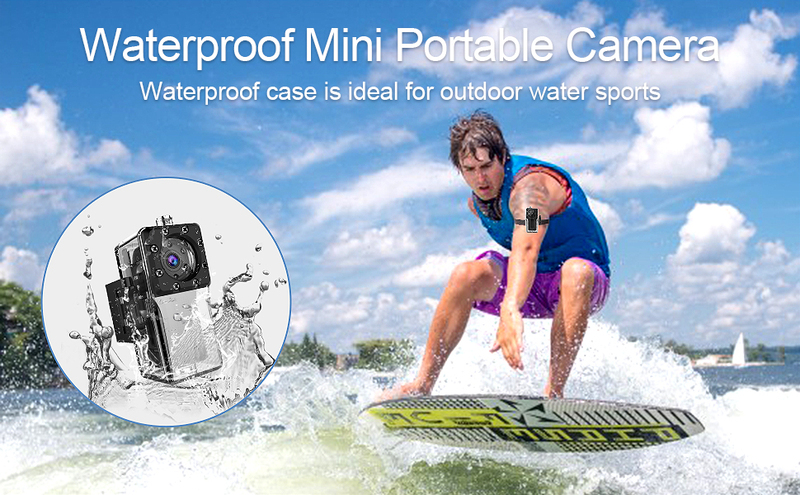 With waterproof case ,it is perfect use it as a waterproof camera to record video for outdoor water sports and skiing. wireless ip camera( thumb size only) is the smallest wifi camera with waterproof case on the market . 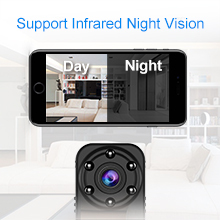 With 1080P, 760P, 640P and 480P resolutions, 140° wide-angle lens ,6pcs IR led lights,It captures clear and larger visual range images than other mini cameras. Ideal for installing it in places that people won't notice to help improve the security of homes, offices, stores, and warehouses. Whenever and wherever you are, you can remotely monitor every corner of your home, office, store, and warehouse from your Andriod or IOS smartphone, so that you can rest assured that you won't miss anything. 1. 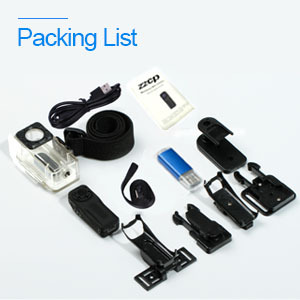 Is it necessary to insert the micro sd card into the camera so that the camera can work properly? ① You can view real-time video without inserting a micro SD card, but you unable to play back video or use alarm settings. ② When using the mini camera as an outdoor action camera, you must insert one micro SD card into camera to record video and the recorded video is saved on the SD card. 2. 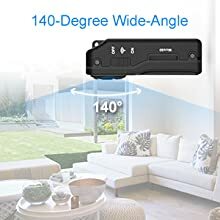 Does this IP camera only support the 2.4G wifi signal? Yes,ZZCP IP camera only supports 2.4G WiFi signal,it can’t supports 5G WiFi signal. 3. Can the wireless wifi camera be viewed on a 3G/4G data network? Yes, you can view camera via a mobile 3G/4G network. 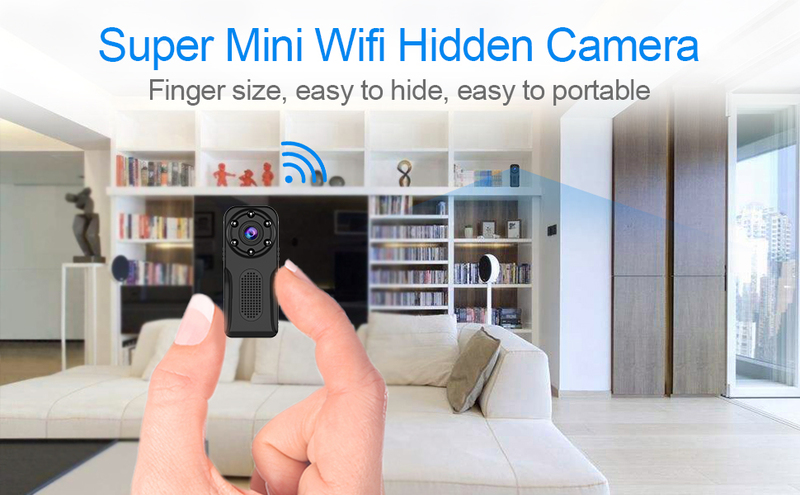 ZZCP portable mini camera is a multi-function wireless camera that can be used not only for wifi remote real-time viewing, but also be used as a mini DV for outdoor use without wifi . 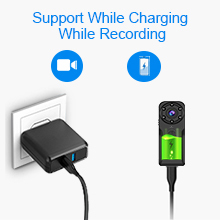 You can record video directly by inserting one 8GB-128GB micro SD card, turn off the wifi button and turn on the camera at the same time.It comes with a lot of accessories, so that the spy cam can be installed and used in a variety of ways. Especially the waterproof case, which is very suitable for video recording during water sports in summer use it as a underwater camera , so you will not miss any wonderful moments. 100% Satisfaction Service – We provide the best customer experience possible. Free Replacement or Full Refund Service . 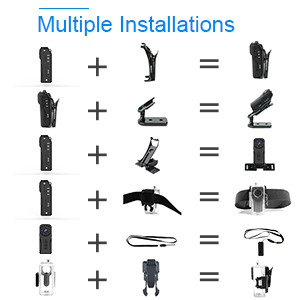 If you aren't satisfied with your Mini WiFi Body Camera . Take Advantage of Our 100% Satisfaction Service Policy---BUY NOW,GIVE IT A TRY !!! !